TTOTALS are a duo consisting of Brian Miles and Marty Linville from Nashville, TN. Silver on Black is their newly self-released 10″ EP, giving us all some excellent insight into their own seething brand of psychedelic rock. Silver on Black is only three tracks long, clocking in at over 12 minutes of material, but boy oh boy does this thing leave a mark. Each of these three songs have the Ttotals signature written all over them, suggesting that these guys may have stumbled upon a sound that is all their own. These songs are as noisy and muddy as they are colorful, often times combining sounds that we probably would have otherwise thought to be mostly contradictory. This closing track continues the staggering pace of the EP with more haunting textures and heavy guitars. It’s a dense sound, filled out by that mystifying windy swirl and a crushing psych-rock edge. It gets contradictory in a way, because the song seems to go from sparse and lite to thick and heavy within moments – pay close attention and you’ll hear this taking place. The guitars undoubtedly spearhead the track, calling all the shots until it’s time for a headsplitting finale. At this point it all busts open, making way for a meltdown of searing guitar cacophony. It’s extremely refreshing when something like this falls into our lap. For now this is all that seems to be available from the Nashville duo, so do your best to sit tight until we hear something new. With an EP like this, these guys are bound to have much more up their sleeves. Go ahead and snag a 10″ EP right now – there’s only 300! I’ll be doing the same! BUY the 10″ directly from the band on Bandcamp – limited to 300 ! 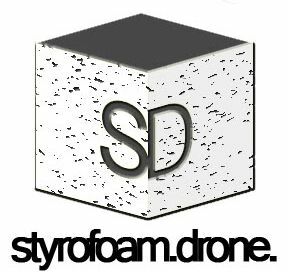 Posted on November 20, 2012 November 24, 2012 by styrofoamdronePosted in EP, Reviews, Still Spinnin'Tagged experimental, noise, psychedelic, space rock.